Let’s have a quick view of the egg tray manufacturing process. An entire egg tray production line often includes four sections, namely, pulping, molding, drying and packing, as well as the egg carton manufacturing process. Through these four systems, waste paper can be made into useful packaging products. This system is the first step of a pulp molding production line and even an essential part of the whole paper industry. It aims to make waste paper into paper pulp. But you know “pulping” is not simply “cutting into pieces”. In general, egg tray raw materials, like old newspaper, books, cardboard, are put into the hydraulic pulper first. However, the slurry still cannot be used directly even they are stirred, rubbed, smashed and filtered by hydraulic pulper. Thus, we often employ a refiner to make the pulp smoother and more well-proportioned. While a powerful pulping system is much significant for an egg carton manufacturing process. Except for these machines, it is necessary to build some pools. And the number of pools is related to the scale of your production line, especially the volume of pulp needed. Beston also supplies integrated pulping systems for small egg tray machines to save more construction works and space for customers. This is the second section of a pulp molding production line, the core part as well. It often contains a vacuum pump, an air compressor, a pulp molding machine and cleaning devices. Among them, pulp forming machine is the key equipment, as well as the key product of a pulp molding machinery. 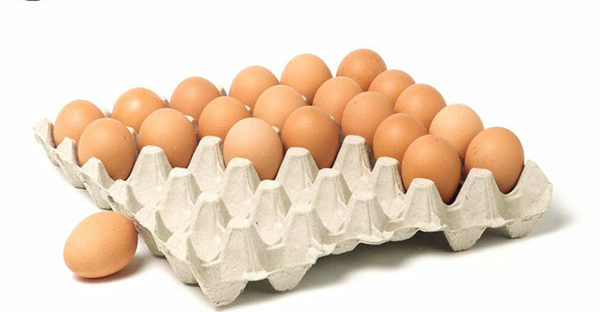 Directly speaking, it results in the differences between egg tray and egg carton manufacturing process. In addition, the vacuum pump is helpful for forming, while air compressor is used for transferring wet products out of molds. It is beneficial for machine maintenance and quality of end products to flush the molds quickly and neatly after demolding. But there is no cleaning device of many pulp molding machines. However, our molding system, including the cleaning device, is completely automatic and easy to operate. There are various drying modes to choose. We use it to dry the wet products after demolding. Except for natural drying, we also have three kinds of efficient drying lines. Actually, it is easy to understand the drying principle. To be simple, the wet products are dried under high temperature. How to produce enough heat? Fuels. Then how much heat can dry end products in the right time? Therefore, the key part of this section is to make full use of energy. Moreover, you should know that different drying lines require different fuels. We have professional designers to provide you with a suitable drying line to recycle the heat. Of course, we have special drying system for the egg carton manufacturing process as well. Different end products require different packing machines. 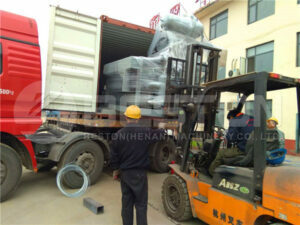 The commonly used machines are packer, counter, hot press. 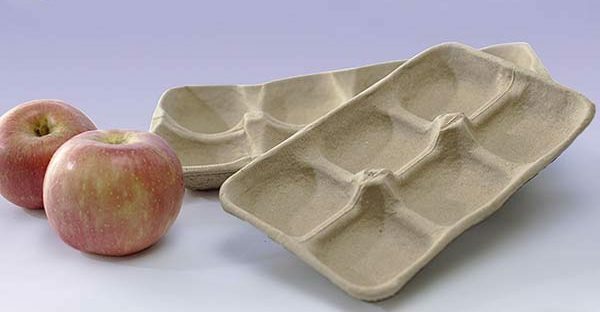 This must be another great difference between egg tray making process and egg carton manufacturing process. In general, egg carton is often more expensive than egg tray. So it requires better appearance and quality. Except for the smoother pulp, we often employ a hot press to reshape it. Beston Machinery has focused on paper tray making machine for many years. We have rich experience to produce top-quality paper egg tray making machines and provide you with the best egg tray making machine price. On this basis, we make egg carton machines, apple tray manufacturing machines to order. With our exquisite craftsmanship and full service, we have gained a lot of regular customers. Our products are successfully exported around the world. Finally, Beston has been a leading egg tray machine supplier in China. We are looking forward to serving you with the best products and service. Welcome to contact us!